Elephants are astonishing creatures: they have two huge ears, cool trunks and super-thick skins. 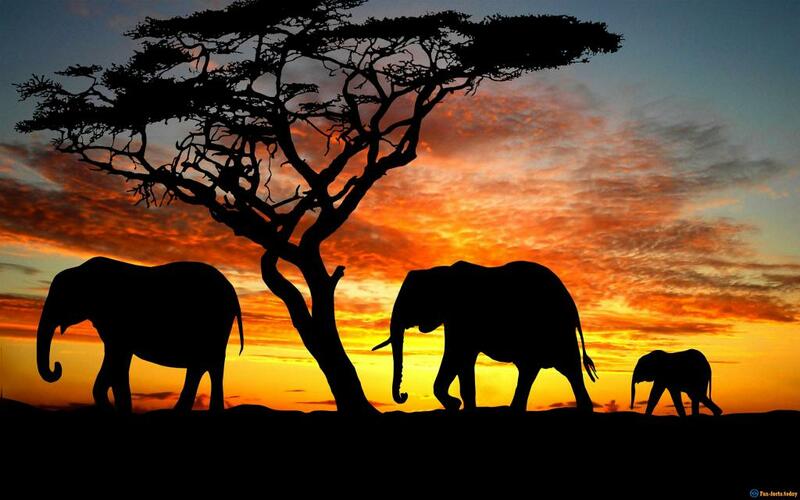 The majority of elephants lives in Africa and Asia and the two "breeds" have a lot of differences. Today you'll learn about how much time they spend eating, how many muscles they have in their trunks and also find out that these mighty creatures live almost as long as humans do. True, all living creatures on planet Earth are amazing, but I bet you never knew even half of the craziest facts about elephants, simply because you never cared. So, make yourself a cup of tea, get comfortable and let's discover some ground-breaking facts about these fascinating creatures. Trust me, you'll start appreciating them a lot more after you read this article through and through. Elephants rule! 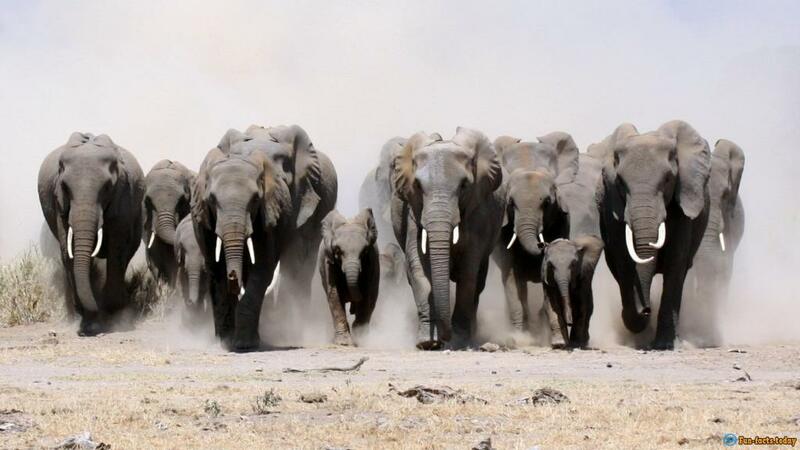 - Alright, this is probably the most amazing fact: on average, an elephant lives for 70 full years! I mean, that's more than humans do in most countries! - Elephants have a really low heart rate - 27. For instance, our pulse rate ranges from 60 to 100 bpm (beats per minute). However, that doesn't prevent them from enjoying this life :). - Did you know that Asian elephant's ears are approximately three times smaller than those of the African one's? Yes, that's true! So, it's safe to say that all those big-eared animals that you see on gift cards and in the cartoons are from the African breed. - Both breeds (or, rather, species) of elephants use their ears as natural air conditioners. Yep, they've got them at their disposal 24/7. That's pretty cool, right? Besides, every single elephant is believed to have unique ears. - Final fact about the ears: despite the fact that they're pretty huge (even on the Asian ones), they have a poor hearing. God works in mysterious ways! - No, wait, another one: these fascinating creatures also use their ears for protection against all kinds of dangers and also for signaling the "relatives". - Crazy fact: they say the very first bomb that the Allies dropped on Nazi Berlin during WW2 killed the ONLY elephant in the zoo. Oh, and by the way, that wasn't the first documented elephant murder in history. Back in 1916 an elephant had been tried (!) and hanged (!!) for murder (!!!). I mean, come on, really? - These creatures are known for drinking as much as 80 gallons of water per day. And they've got these "water sensors" that allow them to sense it miles away. 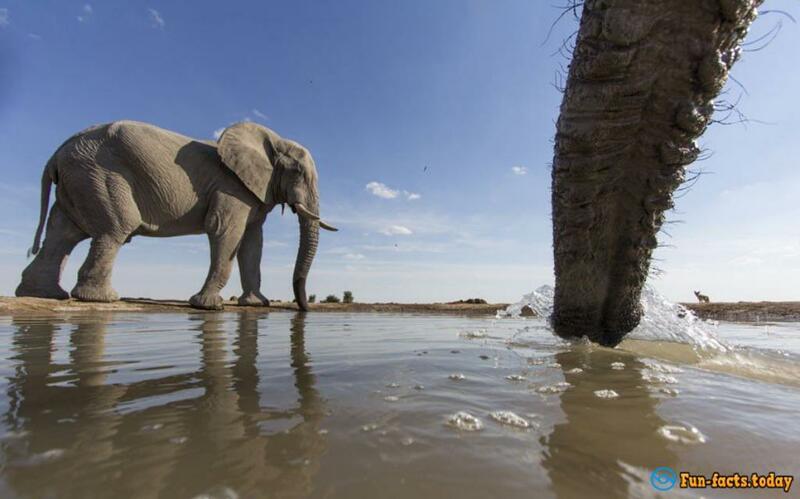 They take about 5 quarts of water with their trunks and then empty it into their mouths. So, no, they don't eat or drink with the trunk itself, although that would be awesome. - Hilarious fact: Elephants are the only mammals who can't jump (at least they never do). - These lazy fellas (and gals) spend up to 16 hours (!) eating in a single day. - So, how long do they sleep for? Not long, actually: about 5 hours a night. And yes, they do sleep while standing. 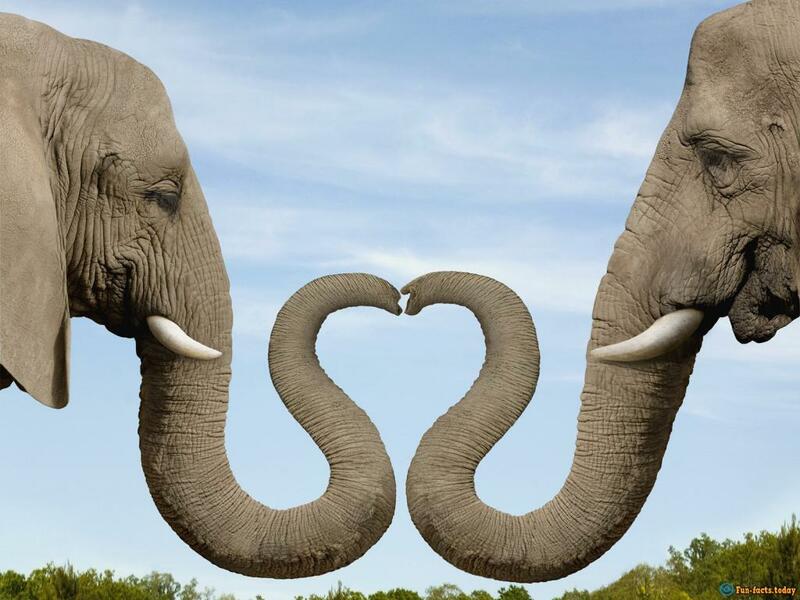 - An elephant's trunk has no bones but it's super flexible, thanks to over 150K muscles and nerves. They can easily grab and lift something as small and fragile as a raw egg without breaking the shell. - Their skin is pretty tough - it's about one inch thick (2.5 cm)!